Good Morning! I’m in great spirits now because after months of rodent issue, I can see my hibiscus flowering again. There was a time, last winter to be precise, when there was always a flower or tow in the plant to greet me every morning. And then began the rodent issue when buds would get nipped off before they could flower. I was worried of losing my most successful plant. But it’s turning for the better now. 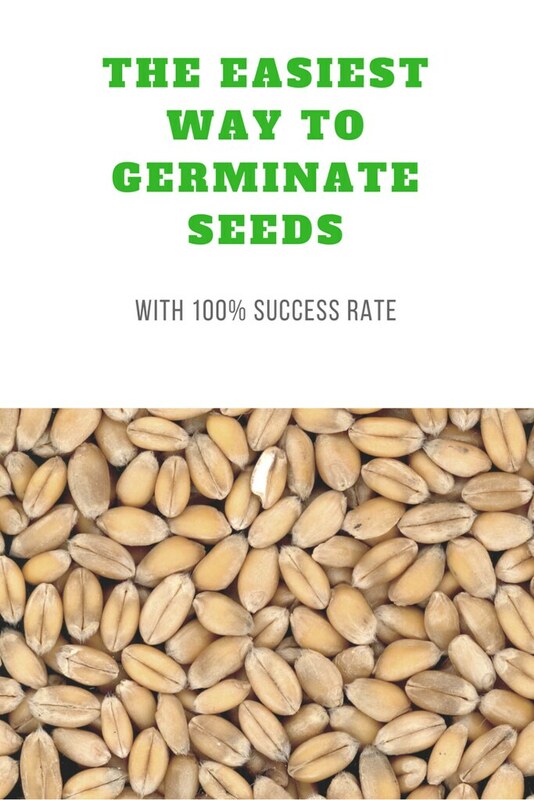 It can be disheartening to see your plants wither away a week after you’ve got them from the nursery for lack of sunlight, inadequate water, pests or insufficient care. No matter what the reason is, it’s hard to see the plants go. And, when you’ve done it a few times, it can get discouraging. If you have little time to spare but want to indulge your green thumb, start with these really easy four flowering plants. All the pictures, except Euphorbia Milli, were taken in my balcony. Jasmine flowers the most during winter. The plant enjoys partial shade and moistness. It can grow into tall shrub, so make sure you plant it in a big pot. You can find various shades and hybrids of Hibiscus in your nursery. The plant thrives well when watered regularly and requires some amount of direct sunlight every day. 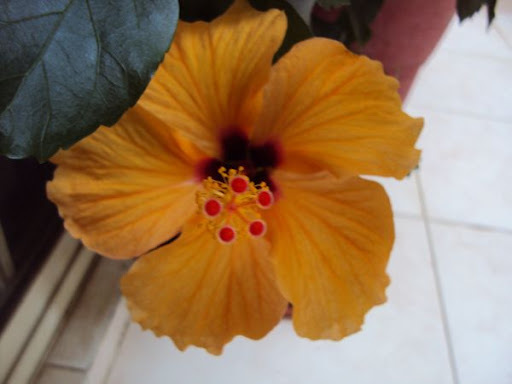 My hibiscus flowers the most during winter through summer and then the flowers become sporadic the rest of the year. Prune your plant when the flowering is lean. It took about 4 – 6 weeks after pruning for it start budding again. 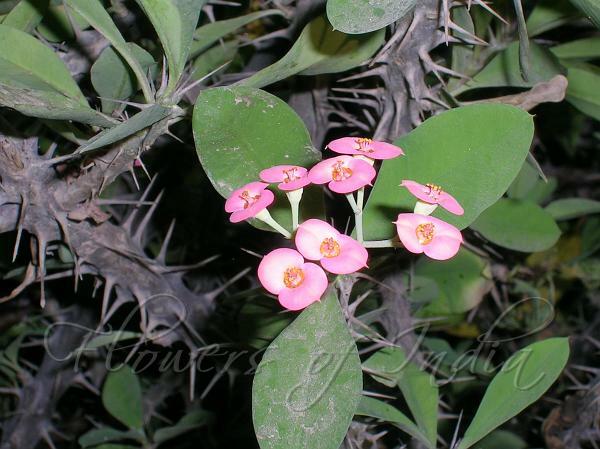 Euphorbia Milli – This thorny shrub with bright red flowers is a common sight on Bangalore’s medians and public parks. The plant thrives well with very minimal watering. You will see good foliage but it flowers only when there is direct sunlight. This is by far my favorite plant. With shiny dark green leaves, the plant bears five petals white flowers. The plant grew too large to be kept in a pot in my balcony. It flowered all through the year. This summer, I shifted to the ground below my flat. Since then, it has grown multi-fold and flowers are a treat to the eyes. 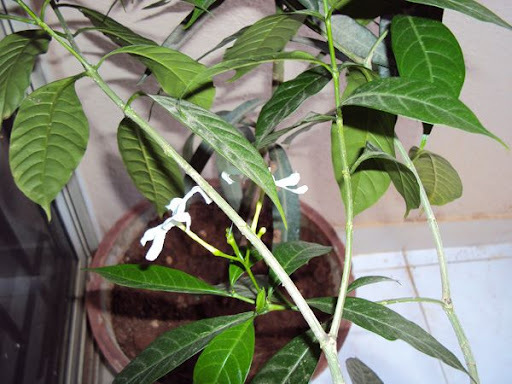 Arali – This is one plant I had little success with. I’m not too fond of the mini hybrid version with smaller flowers which can again be seen in most public parks. 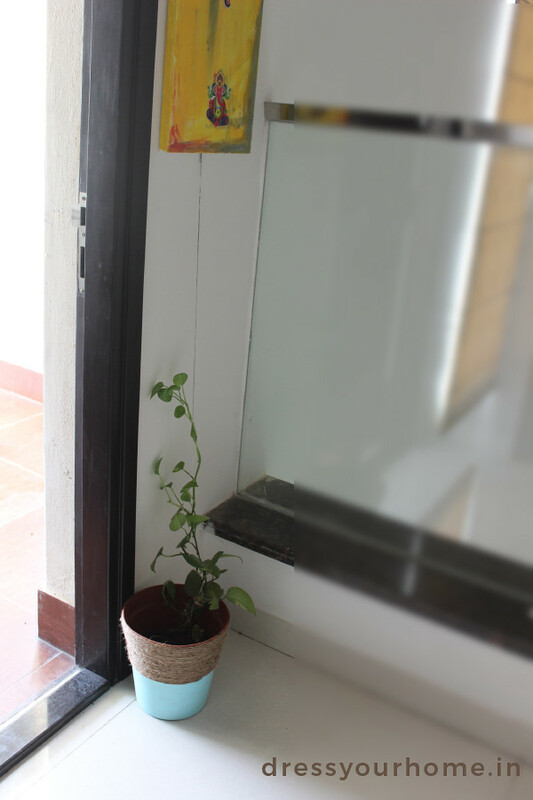 What flowering plants beautify your balcony now? I had a problem with the hibuscus plant I had… It got this white fungus thing developing in the stems and branches very very quickly.., in fact I heard that it needs regular maintenance to avoid getting the fungus? The white fungus (pest) you’ve described can be very harmful to the hisbiscus plant. after nearly two years of being pest-free, my orange hibiscus contracted it from the neighboring white hibiscus plant. I’ve sprinkled a white powder that’s commonly used to protect rice bags from pests by farmers. Got this from a village and this has helped to a great extent.